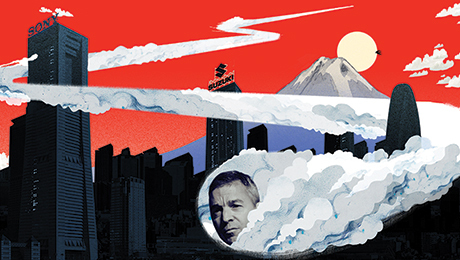 Dan Loeb’s Third Point leads a new wave of activist hedge funds taking advantage of the Shinzo Abe reforms. For decades Japan Inc. has frustrated the efforts of just about every foreign shareholder activist who has tried to storm its gates. 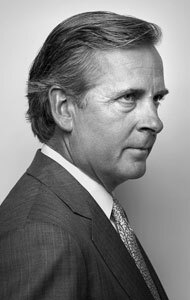 Beginning with T. Boone Pickenss 1989 bid to get seats on the board of Koito Manufacturing Co., a Toyota parts supplier, Japanese companies have relied on insider board directors and passive domestic investors to block activists attempts to gain influence over strategy or increase dividend payouts. Today, however, activists are enjoying unprecedented success. And they are doing so by wrapping themselves in the Japanese flag  and the corporate governance reforms of Prime Minister Shinzo Abe  to campaign for change. Paying little mind to shareholder returns over the years, the company  Japans largest retailer and the operator of the countrys 7-Eleven convenience store chain  had propped up lossmaking businesses, paid miserly dividends and never considered share buybacks. In years past, Seven & i could have simply swatted Loeb aside as a foreign interloper willing to damage a Japanese institution for short-term gain. But since Abe embraced greater shareholder involvement as part of his so-called third arrow of corporate governance reforms, investors like Loeb have gained real clout. Abes reforms include a new corporate governance code adopted last year that urges businesses to boost their return on equity to more than 8 percent. They also require companies listed on the Tokyo Stock Exchanges first and second sections  the countrys large and medium-size businesses  to have at least two independent directors. The measures aim to drive greater corporate discipline and prod boards to show more concern for shareholders. Since the code took effect, nearly all large-cap companies in Japan have appointed two, or more, outside directors; however, the caliber of those outsiders  few of them foreigners  leaves many investors unimpressed. A March report by Jefferies Group concluded that fewer than 10 percent of companies in the Topix 500 index had an acceptable board structure and only 1 percent could be considered good. Seven & i, for instance, boasts four outside directors, but the report scored it worst of all in terms of skills and expertise. All the outside directors come from academia or are retired bureaucrats, which is a negative, says Zuhair Khan, the lead analyst on the report. Even so, Third Point found an ally in Kunio Ito, a professor at Hitotsubashi University who was appointed to Seven & is board in 2014 after heading an advisory committee whose recommendations laid the groundwork for Japans corporate governance reforms. When rumors circulated earlier this year that the companys 83-year-old CEO, Toshifumi Suzuki, was trying to oust the president of its most successful business unit, 7-Eleven Japan, to clear a succession path for his son, Loeb sent an open letter  anathema in Japan  to the board invoking the corporate governance code. Our goals are fully consistent with the Third Arrow of Abenomics: a focus on shareholder interests and returns, and engagement in forward-looking corporate governance that should make Japanese companies more competitive and attractive investment opportunities, he wrote. It was a rare victory for an activist hedge fund, and one that was lionized ­rather than demonized in the Japanese media as the dawn of a new era in corporate governance. If they follow the path that we laid out, and the one I think theyre pursuing, Seven & i is an example of a Japanese company that will really prosper in this challenging economic environment, says Loeb. Seven & is share price rose 7.2 percent in the week following Suzukis resignation but has since fallen by 12.8 percent. Japanese companies and their domestic investors have traditionally frowned on shareholder activism. In the 1980s buying shares in a company in order to disrupt annual general meetings or blackmail executives became a common tactic of extortionists, called sokaiya, who typically had ties to yakuza organized crime syndicates. Although a law enforcement crackdown effectively stopped the practice by the early 2000s, Japanese executives cited the example of past shakedown attempts to shun activists when a fresh batch of barbarians gathered at the gates. From 2003 to 2010 the brash New York hedge fund firm Steel Partners, led by Warren Lichtenstein, tried to take over a series of Japanese businesses, including Sapporo Breweries, only to be thwarted by poison pills and a hostile press. Today, however, Japan is starting to change its tune. As part of the third arrow, Abe has called on institutions to become more actively involved in the companies in which they invest. More than 100 money managers and asset owners agreed to make their voices heard when they signed Japans stewardship code, Principles for Responsible Institutional Investors, in 2014. The code has created an atmosphere that welcomes dialogue between investors and corporates, says Akitsugu Era, the head of investment stewardship for BlackRock Japan. Since its launch the number of companies that BlackRock can access has grown exponentially. In the first half of 2016, Eras team met with 150 businesses, equal to the total number of meetings in 2015 and about three times more than in prior years. As investors become more discerning, activists may find it easier to win support for their proposals. For the fiscal year ended March 2016, Japans 3,600 publicly traded companies paid a record 11 trillion yen ($107 billion) in dividends. 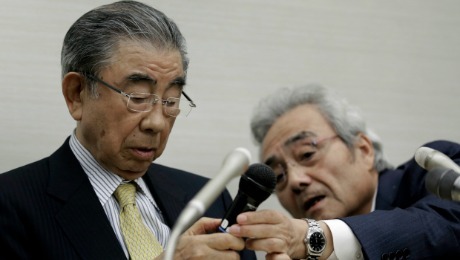 They also bought back 5.3 trillion yen worth of shares, up 60 percent from a year earlier. Activists targeted 13 Japanese companies in the first seven months of this year, up from eight in all of 2015, according to London-based data provider Activist Insight. Not everyone has been as successful as Loeb. When The Childrens Investment Fund Management took a 1.4 percent stake in Japan Tobacco in 2011 and began demanding that the state-controlled company boost its payout ratio, exit unprofitable businesses and buy back stock from the government, other shareholders gave it the cold shoulder. Chris Hohn, founder and managing partner of the London-based hedge fund firm, and Oscar Veldhuijzen, a partner responsible for the investment, raised their proposals at the companys annual general meeting for four straight years even though off-agenda questions were against the rules. The tactics didnt win many friends; TCI lost every proxy fight even after the government reduced its stake from 50 percent to 33 percent in 2013 to raise money for reconstruction following the Tohoku earthquake and tsunami of 2011. TCIs proposal and activist style is still too extreme, too antagonistic to work in Japan, and actually might risk defensive response from the management rather than constructive change, says one buy-side analyst. Gotohs business card bears the slogan Working Shareholder in Japanese. The firms co-founders  proud of their management consulting backgrounds  have been honing their engagement strategy since 2005. In 2015 the team scored one of its first successes when baby products company Pigeon Corp. enlisted Misakis chief engagement officer, Takayuki Nitta, as an outside director in response to the new corporate governance code.